The author is now so firmly established as a prolific writer of naval subjects that each new book tends to be compared to his previous work rather than to current and past authors. Once again, he has produced an authoritative work that is both concise and comprehensive. The work is lavishly illustrated and will stand for many years as the definitive work on the subject. Highly Recommended. DESCRIPTION: The author is now so firmly established as a prolific writer of naval subjects that each new book tends to be compared to his previous work rather than to current and past authors. Once again, he has produced an authoritative work that is both concise and comprehensive. The work is lavishly illustrated and will stand for many years as the definitive work on the subject. Highly Recommended. In 1939, the Royal Navy was still the premier navy with ships and bases around the world, protecting the sea lanes of Empire. Although it inevitably had many ships that had served in WWI, or completed shortly after, these had been extensively modernized and most were almost unrecognizable as WWI designs. The larger ships were equipped with float-planes, or seaplanes, as spotters, although radar was being introduced and would make spotter planes redundant before the end of the war. There were also a number of significant new designs completing in the shipyards or just entering service. This would have been an exciting time, even without the start of another major war. The naval aviation was now back under RN control, with the exception of those large flying boats and land planes operated by RAF Coastal Command. New aircraft carriers were joining the fleet and the early carriers had all received updates. Modern aircraft were in the process of entering service and their numbers were to be swelled by excellent designs from the US. Both the submarine command and the coastal forces were receiving the results of major expansion and coastal warships were being built as fast as possible, mostly using wood and prefabrication to enable small yacht builders to take the responsibility for construction, freeing traditional naval shipyards for production and repair of larger vessels. The RN had mobilized for major exercises earlier in 1939 and then keep these assets in operation ready for war. Warships were sent out to their war stations and a significant effort was put into shipping fuel and other essential supplies to bases around the world. 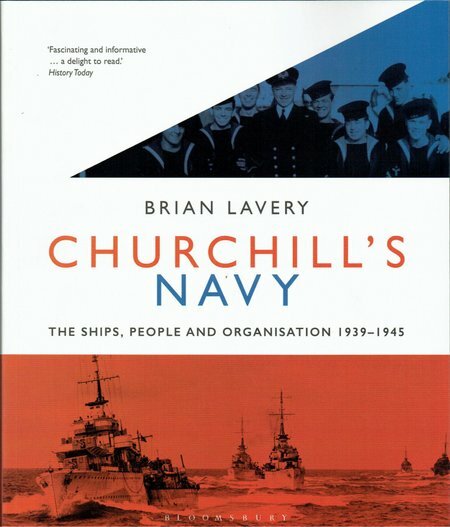 The author has captured the essence of this great expansion and shown how the RN managed to train and organize the considerable number of new sailors and officers, many never having been to sea before in any capacity. The book is divided into logical sections by activity and types of warships. This is genuinely a comprehensive work that packs considerable information into a relatively small space and yet still manages to include a fine and generous selection of images. This is one of those rare ebooks that manages to satisfy a very wide range of reader skills. There is something for even the most capable professionals and enthusiasts, but also provides an excellent grounding for those coming to the group of subjects with little if any prior knowledge. The publisher has complemented this information with a high production quality and offered it at an amazingly competitive price.